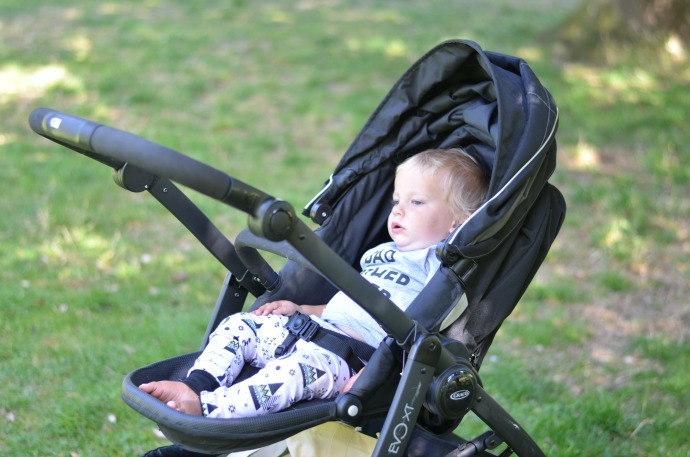 The Graco Evo XT is an all terrain buggy suitable from birth and we were sent one to test for Finn. 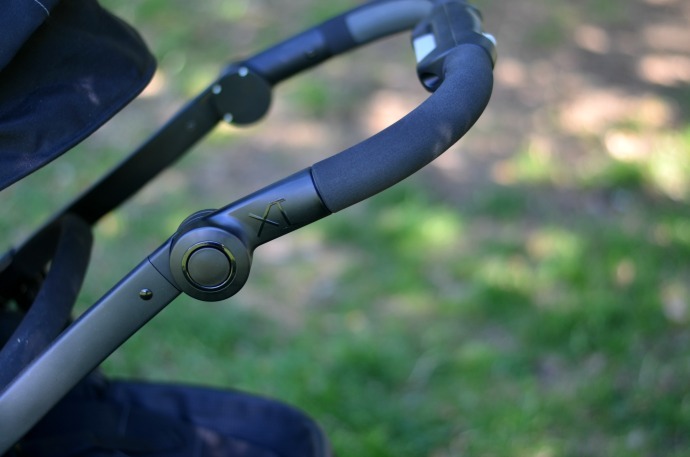 For me, the most important features of a pushchair are the ability to parent face and a big basket and as this ticked both boxes, I was excited to try it out. The Evo XT is easy to put together and only took me a few minutes. The trickiest bit was the pin in the back wheels but once you get the first one in the second one seems so much easier! The seat unit seemed pretty generous and Finn fits in comfortably. At 17 months his legs fit perfectly and he has space to grow upwards. 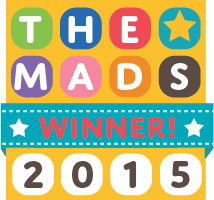 The seat sits pretty upright as well as lying flat which is ideal for a nosy toddler. I like how flat it lays for his when he is asleep and it means I can use it for Cora too if I want to swap them around. The hood is generous and protects well from the elements. 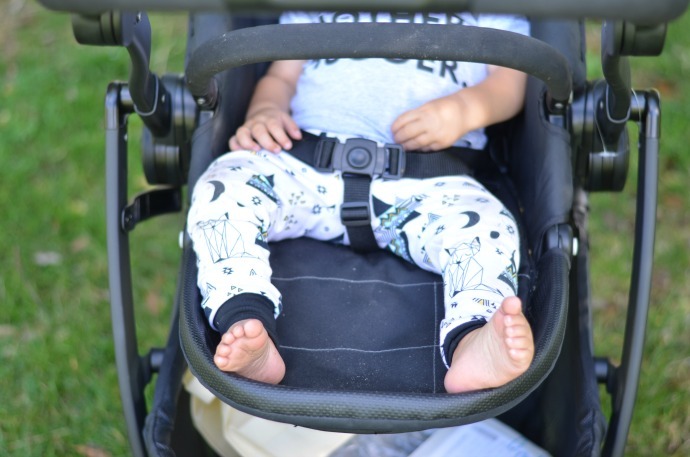 When the seat is reclined it creates a huge amount of shade which is ideal for creating a good napping environment or keeping little ones out of the sun or wind. The handlebar is adjustable and at five foot nine I found it most comfortable when it was pushed upwards. It was easy to change and to tuck away when we are storing it or on public transport as it folds right underneath. 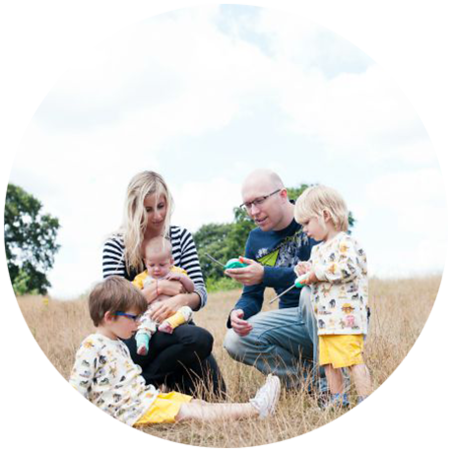 The basket is very important to me as with four children I carry around a lot! It was really generous and I could fit in my changing bag, blankets, jumpers and still have space. It was easier to access when the seat unit is facing out, but I could get everything in and out just fine with the seat parent facing too. 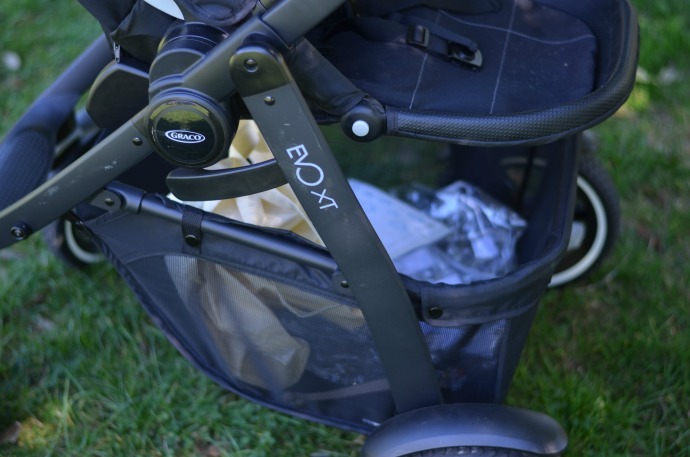 This pushchair is designed to handle rough terrains and I have found it great to use at the park. We haven't been anywhere more adventurous to test it yet, but pushing it though parks, around town and on the school run it handles well. 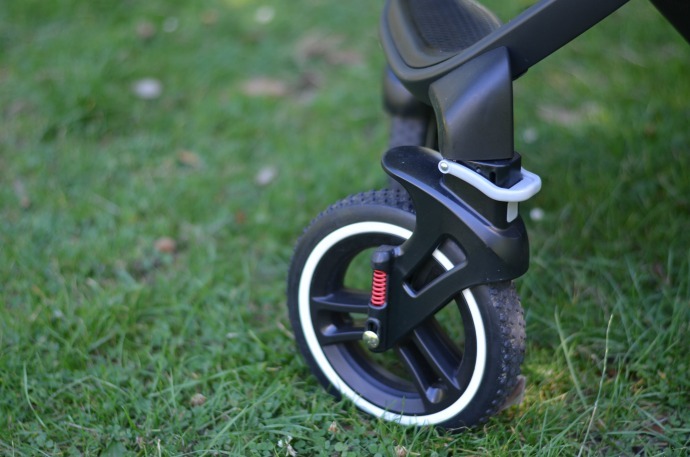 The front wheels are lockable and the large back wheels help it move easily and it is comfortable and easy to push. The design is simple, well built and sturdy and we are enjoying using the Graco Evo XT. 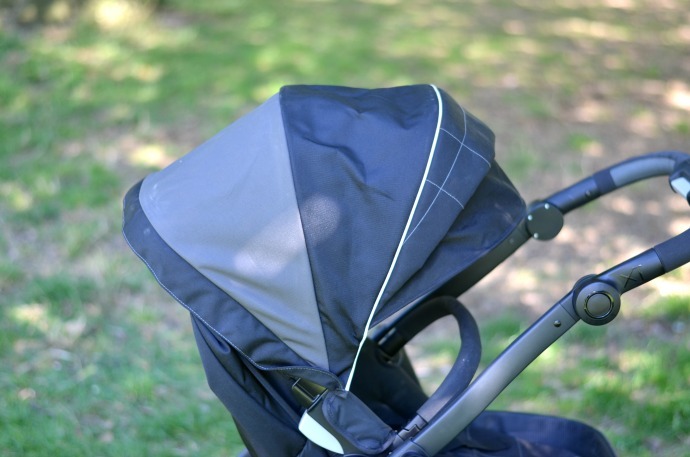 I was sent this pushchair for the purpose of this review but all thoughts and opinions are completely my own. 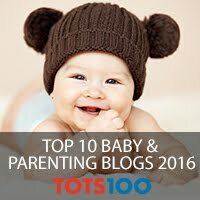 I have always kind of snubbed Graco...rightly or wrongly! 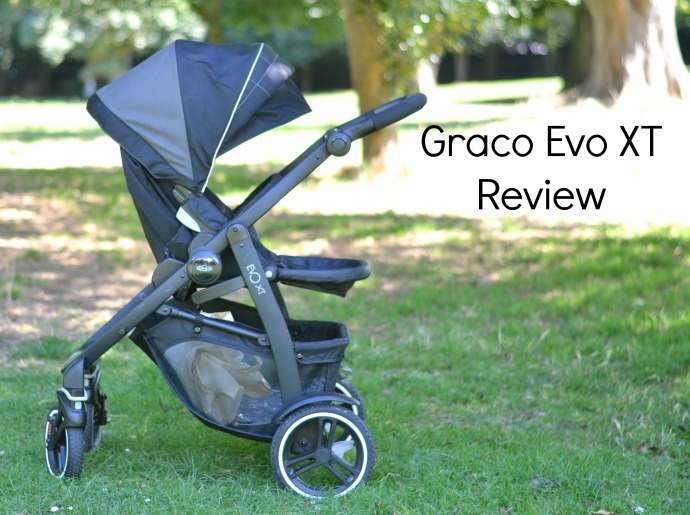 This review showcases Graco at it's best so far. 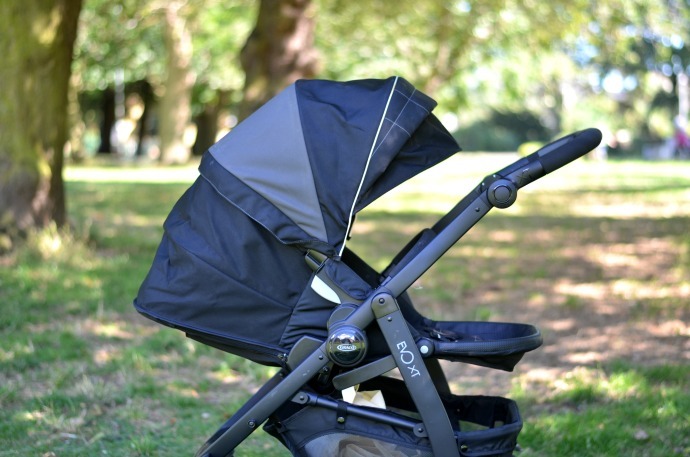 It looks like a decent pram/buggy!